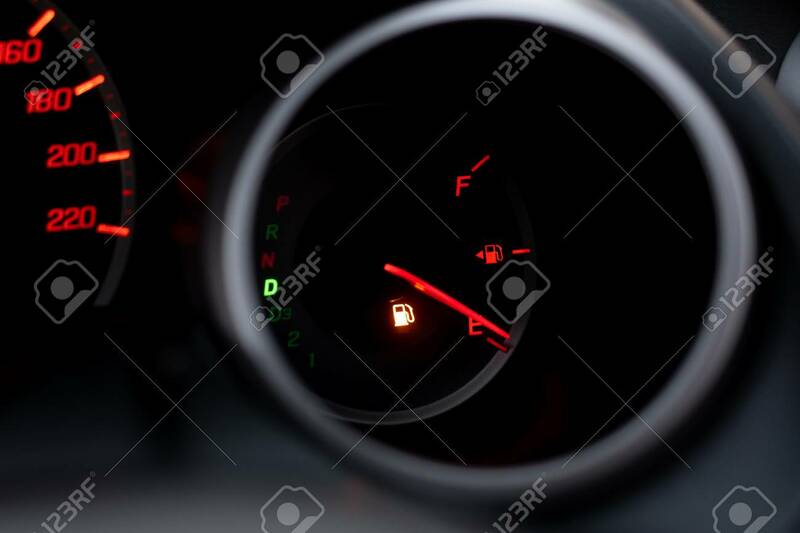 The Car Dashboard Shows The Flue Gas With Red. The Oil Warning Light Is Running Out.Close Up Image Of Illuminated Car Dashboard Lizenzfreie Fotos, Bilder Und Stock Fotografie. Image 114602732.